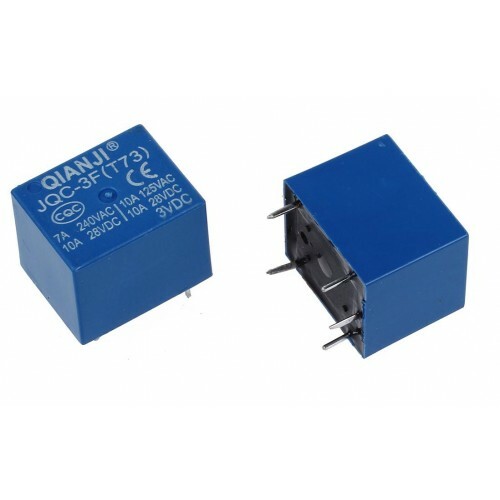 Buy 3 Volt SPDT CUBE RELAY online at low cost in India from DNA Technology, Nashik. These are high quality Single Pole - Double Throw (SPDT) sealed 3 Volt Sugar Cube relays. Use them to switch high voltage (240AC) , and/or high current devices (7 Ampere). This relay's coil is rated up to 4 Volts, with a minimum switching voltage of 2.7 Volts. The contacts are rated up to 7A @250VAC and 7A @24VDC. This is a perfect relay if you want to switch low power devices upto 1000 watts. Ideal for using in your academic projects and for small device switching. 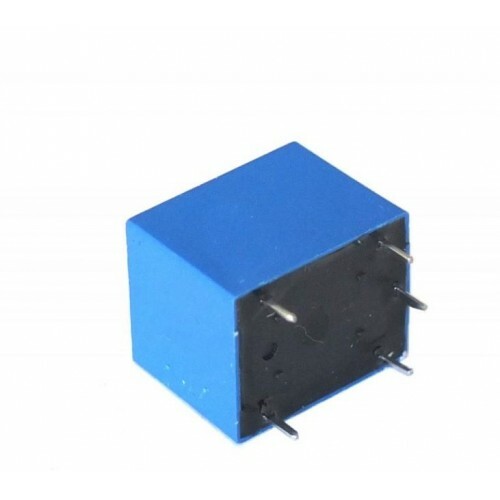 12 Volt 7 ampere SPDT CUBE RELAY This is a sealed 12 volt High quality Single Pole Double Throw..
5 Volt 7 ampere SPDT CUBE RELAY This is a sealed 5 volt High quality Single Pole Double Throw (..